50 years ago, a group of friends and poets gathered in a backyard in North Hatley, Quebec, and dreamed up the League of Canadian Poets. 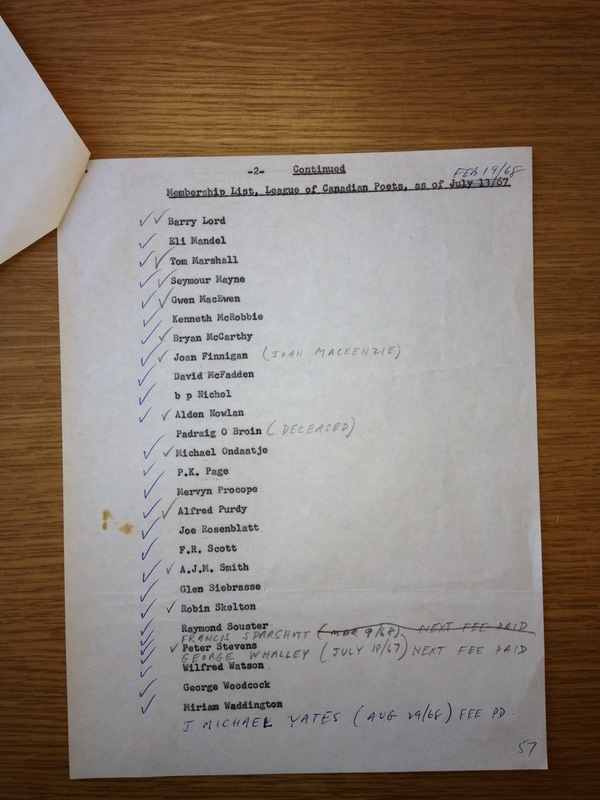 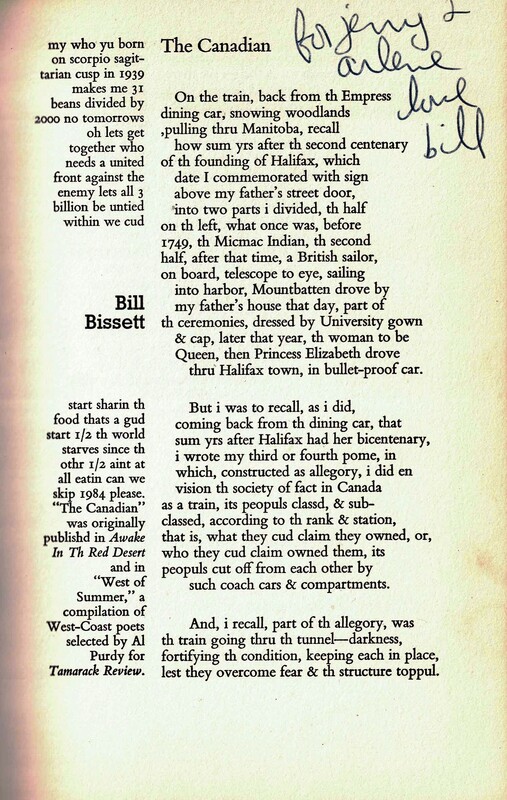 (Well, first they dreamed up the Canadian Guild of Poets–and then they changed the name.) This informal gathering of Lorna Everson, Ron Everson, Ralph Gustafson, Lia Souster, Raymond Souster, Louis Dudek, Mike Gnarowski, and Frank Scott proved to be the founding meeting of the League, an organization that grew beyond—we imagine—even the wildest dreams of its founders. 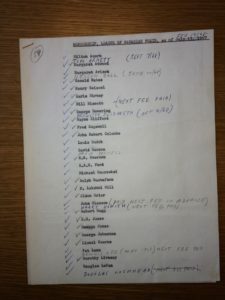 In 1967, the League’s—then the Guild—annual membership fee was $5.00 for each of its 25 members. 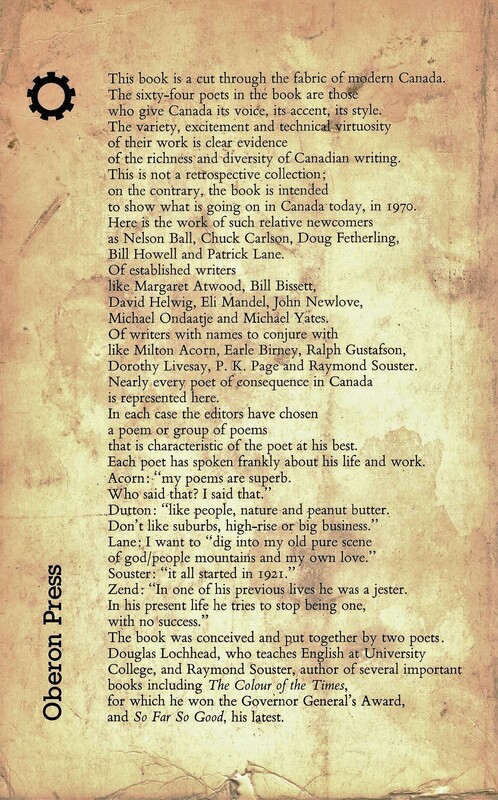 This membership grew to 90 over the next five years, and today we connect over 600 poets across Canada. 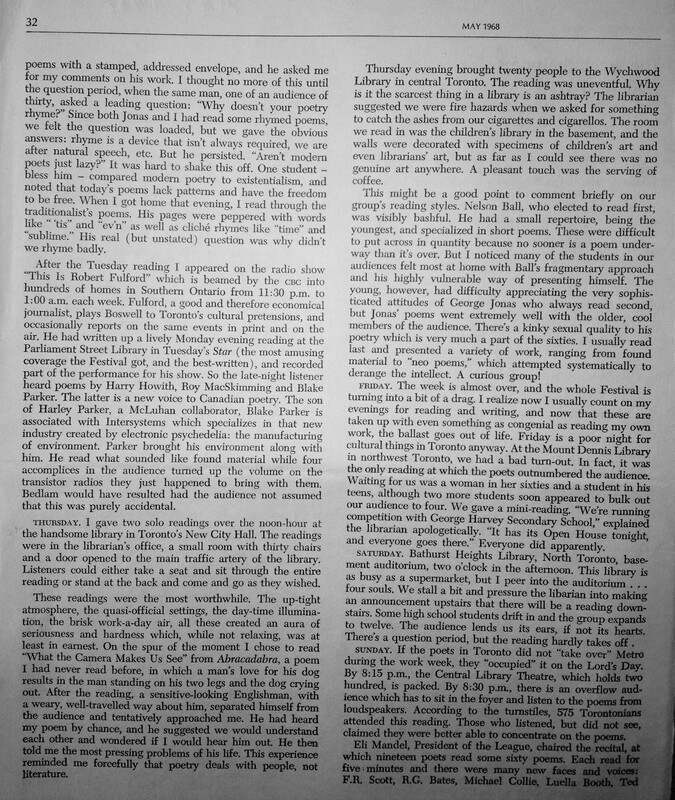 The first League General Meeting took place in October 1968, with a stellar cast of attendees: Milton Acorn, Margaret Atwood, Nelson Ball, Douglas Barbour, Earle Birney, bill bissett, George Bowering, Ralph Gustafson, George Johnston, George Jonas, DG Jones, Patrick Lanes, Dennis Lee, Dorothy Livesay, Douglas Lockhead, Gwendolyn MacEwen, Kenneth McRobbie, Eli Mandel, Tom Marshall, bpNichol, Alden Nowlan, Michael Ondaatje, Al Purdy, Joe Rosenblatt, F. R. Scott, Robin Skelton, AJM Smith, Francis Sparshott, Miriam Waddington, George Woodcock, and several more. 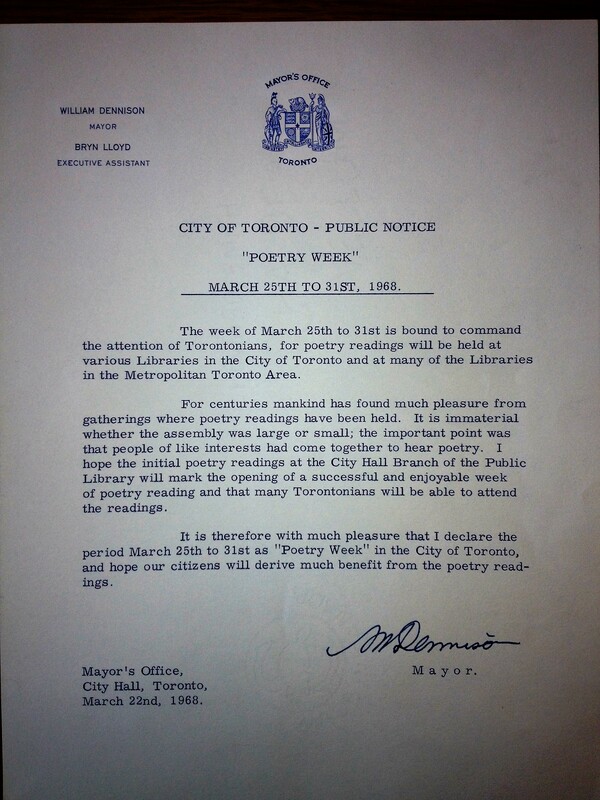 One of the League’s first projects was the Metro poetry festival, held annually in the early spring in 1968, 69, and 70. 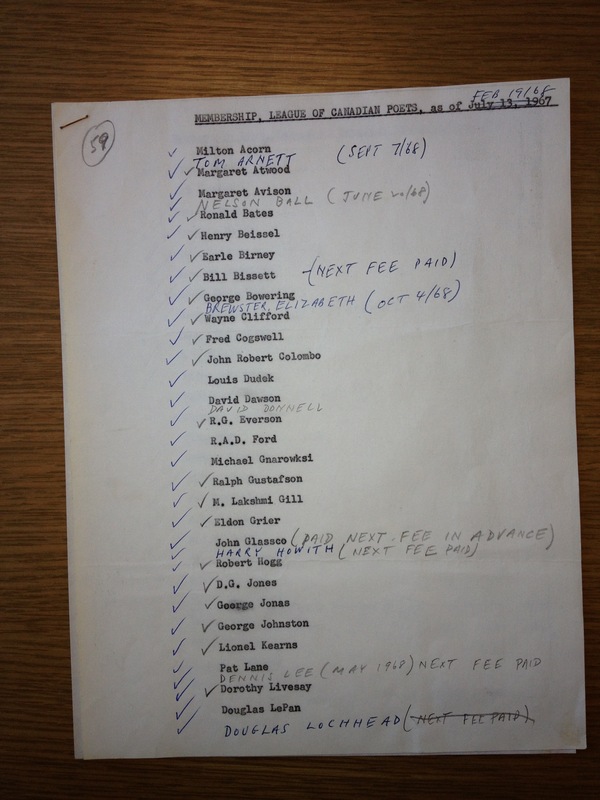 In 1970, in order to balance the cost of rental fees, they charged admission for the first time: $1.00 per person. 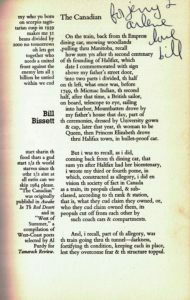 The festival drew 1,200 attendees—a huge success by any measure, let alone for a poetry festival! 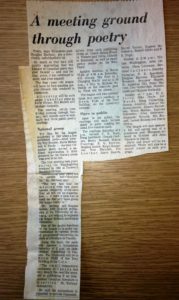 But the time, energy, and money the small executive board poured into the 1970 festival proved too much; after just breaking even on costs, they resolved never to do it again. 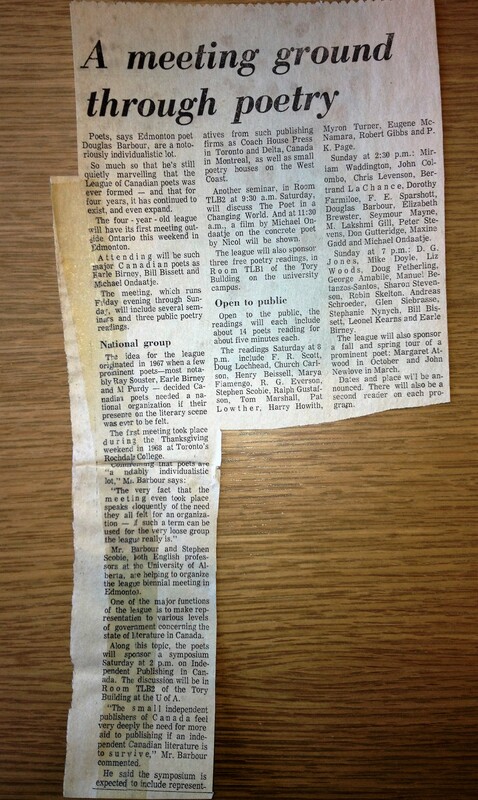 Indeed, 1970 was an exciting year for the League. 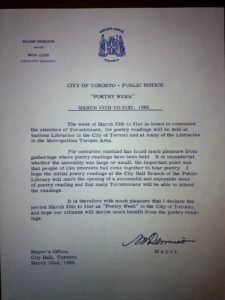 In late 1969, after three years of engaging primarily Toronto members, they found themselves looking for a way to involve the membership Canada-wide. 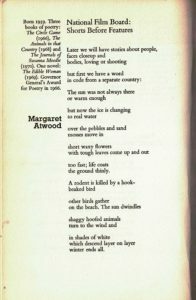 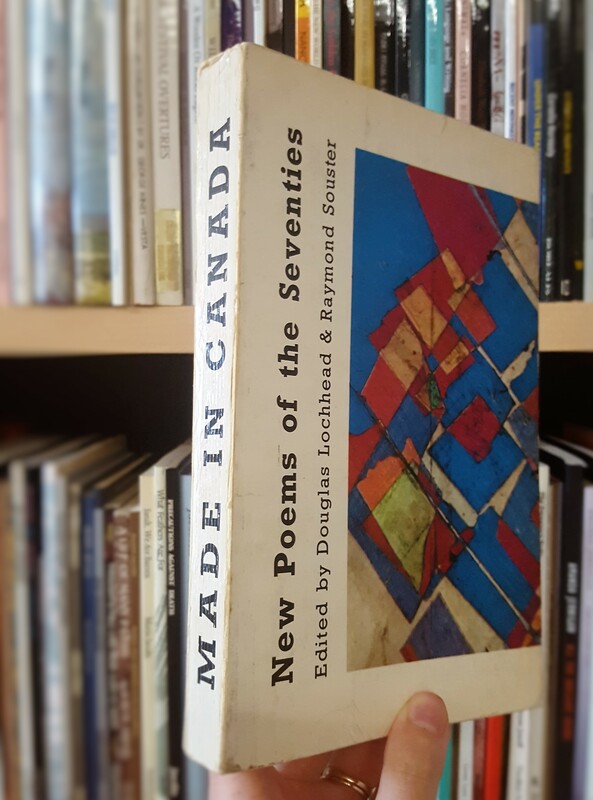 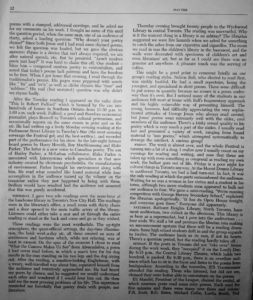 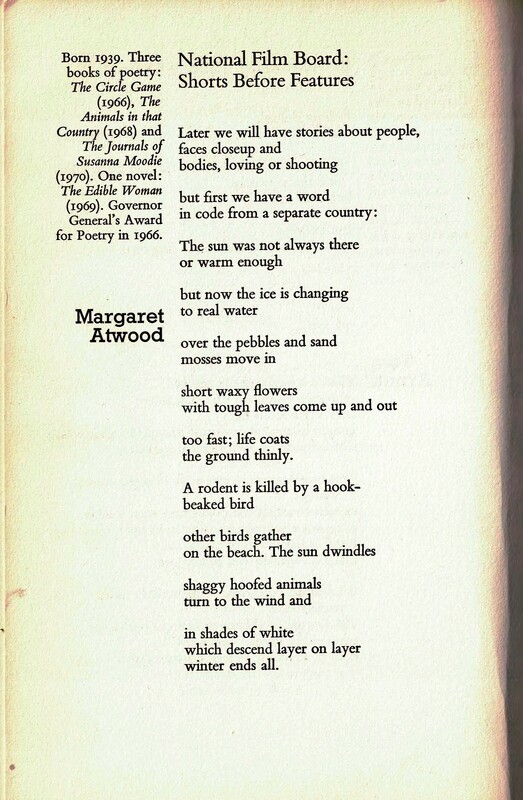 The result was the anthology Made in Canada, published in 1970 by Oberon Press and edited by then-president Raymond Souster, and Douglas Lochhead. 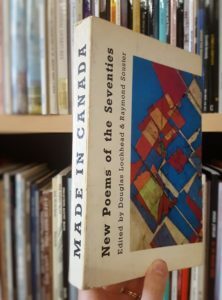 Every poet who contributed to the anthology received $5.00 and a copy of the book—and we were pleased to discover a copy of that very anthology sitting in one of our very own office shelves! 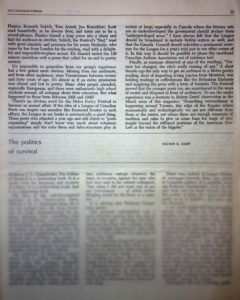 The second General Meeting, also in 1970, reported a balance of $250.00 in the bank account—an improvement over past years, but still a far cry from ideal. 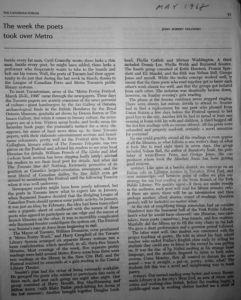 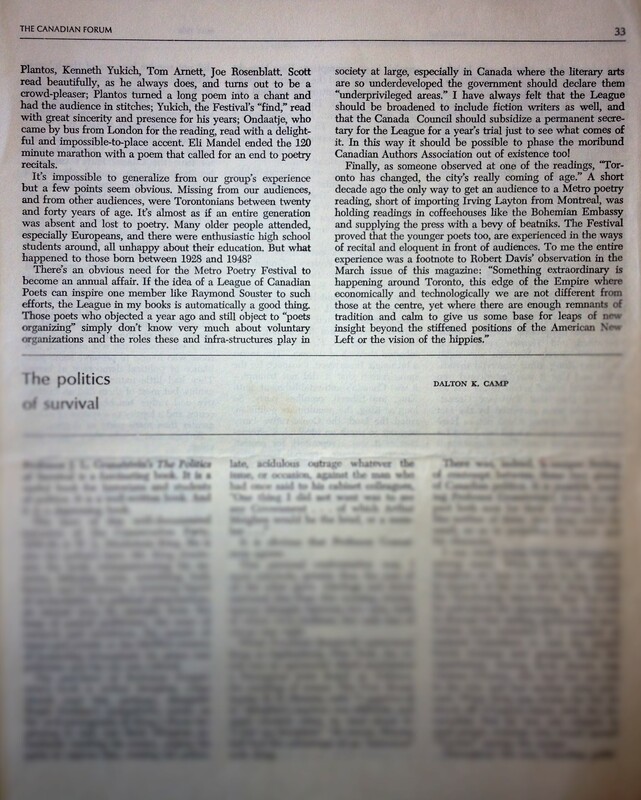 But 1970 and 71 started seeing support from the Canada Council for the Arts and the Ontario Arts Council, with the OAC funding a part-time salary for the League’s first director, Gerald Lampert, who started work in 1971. 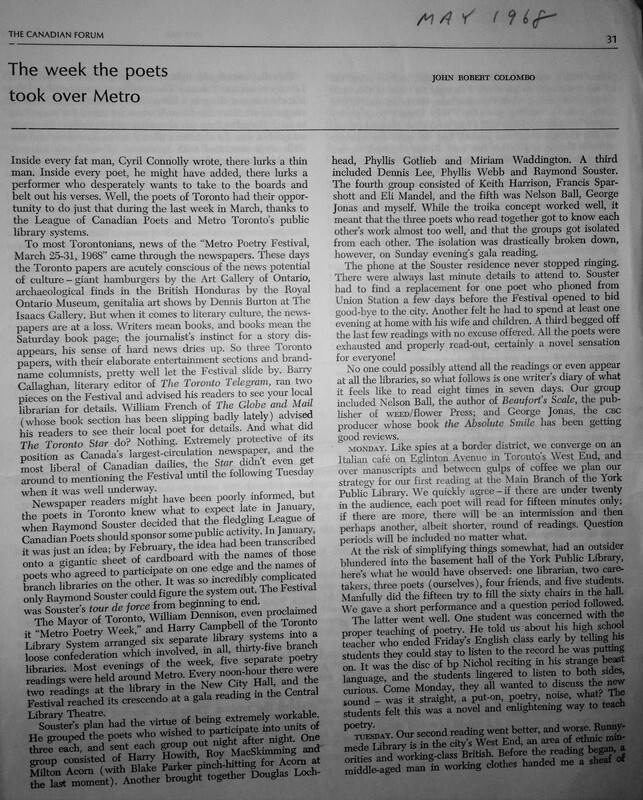 Two programs that we still use today also found their footing in 1971: the Canada Council provided $10,000 for the first national poetry tour program, which funded 23 poets participating in 10 readings at 10 universities across Canada; the OAC funded 70-80 high school readings in that same year, for the very first season of the Poets in the Schools program.